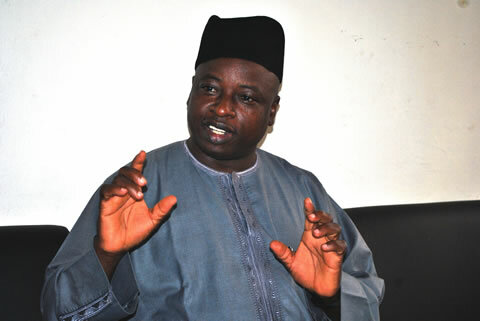 A two-time commissioner in Borno State and former spokesman of erstwhile National Chairman of the Peoples Democratic Party (PDP), Mr. Inuwa Bwala, x-rays political developments in Borno State, especially the clamour for power rotation amongst its zones and concludes that his former boss may not fit into the calculations of 2019. Your voice seems to have died down since your boss, Ali Modu Sheriff lost out in the battle for the control of the PDP, why the seeming silence? I have had my days at the time I ought to be speaking, but one cannot be a man for all seasons and perhaps the current season does not favour my active participation. Those times when I might have been active were dictated by the circumstances around me and they may have changed. I have always maintained that I am a circumstantial politician, and the situation now places me on the bench like my boss. Be that as it may, I am actively involved in the local politics back home and I have been making my contributions at that level. I may not be as visible on national airwaves, but that does not mean I am not involved at home. Are you likely to throw in your hat for the governorship against the permutations for power shift to Southern Borno where you come from? I am clearly not in contention for any elective position given the situation on ground. The climate is still hazy and nobody can say what will be the direction of things. But I have been an advocate of power rotation in Borno for a very long time. It has been the dream and hope of all sons and daughters of Southern Borno. I drafted the message being broadcast on radio and television on the issue, but have been silent for some time now. Some of us have chosen to be silent because the clamour has assumed a curious dimension to the effect that it is now being championed by non-stakeholders and somebody who has consistently stood in the way for us to actualise that dream. We are surprised that the former governor of the state, Ali Modu Sheriff who had the opportunity to give it to us on a platter is now pretending to support our course. One can see that there is no sincerity in it, looking at the people working with him on the project. We know as a matter of fact that he is desperate to regain control of power so as to pursue his vendetta against those who deserted him. He is looking for willing partners to work towards distracting the government in the state, and may have found some amongst my brothers from southern Borno. It is on record that the same Ali Modu Sheriff , in the build up to the 2011 elections, who was reported as having promised to go for a southern Borno candidate, later sabotaged Adamu Dibal, who was his deputy for eight years and who hails from Biu, from getting elected as governor from Southern Borno. He brought in his cousin, the late Fannami Gubio, may his soul rest in peace, and went ahead to manipulate the primaries where Adamu Dinal lost. One would have expected him to make up for Dibal when Gubio died, by doing the logical thing in picking Gubio’s runner up in the primaries since they were only two in the race, but choose to bring forward the incumbent governor, Kashim Shettima and denied Adamu Dibal from further participating in the subsequent primary that produced Shettima. I give it to Kashim Shettima, he is young, intelligent, humble and pragmatic, but that is a story for another day. Again when he defected to the PDP, Ali Modu Sheriff never considered any person from Southern Borno, but went for Mohammed Imam from Borno Central to fly the flag of the PDP in the 2015 governorship. All these and other actions he took while we were with him, left me in no doubt that his new romance with the idea of power shift is a mere ploy to confuse stakeholders and electorate to actualise a personal vendetta. Those who are following him blindly may not see what we can see, but my word of advice to them is to know that there is no free lunch with Ali Sheriff. You seem to have turned against Ali Modu Sheriff, your boss. What is happening between you? Rather I am trying to cut my teeth without any form of tutelage. As you may be aware, I resigned as Ali Modu Sheriff’s spokesman since last year and that is why you don’t hear me talk on his behalf. I left him for some personal reasons which I will not want to discuss at this stage. I have worked with four governors, all of whom I still hold in reverence, so I will not want to discuss my problems with Ali Sheriff. I give him his dues as my former boss, even though he may have hurt me in some ways. I have worked with the late Mala Kachallah who treated me like a son, I have worked with Abdullahi Adamu in Nasarawa State and we still enjoy mutual relationship, I returned to Borno and worked with Ali Modu Sheriff, for whom I had to sacrifice my position in government as a commissioner as a mark of my loyalty. I worked with the incumbent governor, Kashim Shettima, who is a personal friend yet my boss. I have had varied experiences working with all these people and I give God the glory for such a privilege, which was not available to so many others. Like I said, certain aspects of the experiences are better kept for myself or for my memoirs when it eventually comes. He had said at several public fora that he remains eternally grateful to Ali Sheriff for bringing him into political limelight and the eventual confidence Sheriff reposed in him. This much he has told me several times when I tried to mediate in the crisis. On the other hand, Ali Sheriff made us to believe that any negative development around him has the imprimatur of Kashim Shettima. This suspicion was further fuelled by some of the negative impressions some lieutenants on both sides created in the minds of the main gladiators. While the division lasted, so many people fed fat on it; those of us who dare tell the truth were often regarded as renegades. That spirit of suspicion is one of the issues standing in the way of genuine reconciliations to date. The governor has in all honesty demonstrated greater desire for reconciliation, but Sheriff is still apparently obsessed with the spirit of vendetta. He has continued to do things that may leave Governor Shettima with no option than to fight for his own political survival. I listened to an interview by Ali Sheriff’s erstwhile deputy, Adamu Yuguda Dibal, whom I respect a lot, and was disturbed by the revelations to the effect that Sheriff is working not to only undermine Shettima but even President Muhammadu Buhari, and yet pretending to be their compatriot. In a nutshell, today they are in the same party again, but the relationship may have been irredeemably impaired. But with Sheriff as the virtual leader of the APC in Borno, what are your chances in the 2019 elections? I am not seeking election so I have no fears. I am aware that Ali Modu Sheriff has returned to the APC, and I am also aware that he is desperate in seeking to be regarded as its leader in Borno State. He has returned to meet familiar foes, most of whom were his foot soldiers before. They know his antics and he knows their capacities. I promise you Borno will be the usual melting pot, but Sheriff will be the eventual loser. It is not because I underrate him, but because greater number of those who fought to entrench Sheriff’s dominance in politics are now on his opposing side and it will not be the usual tea party for him. The APC was winning its elections even before Sheriff returned to the party. He is not going to do anything extra ordinary from what Governor Kashim Shettima and his team have been doing before. Let me tell you, the dynamics of the political equation in Borno has since shifted from what people perceived to be under one-man control. The upcoming generation now know their onions better and will not cheaply lend themselves to the head boy style of politics. Sheriff may have had his ways in the past, to the effect that at a point, people think he was the soul of any political contest in Borno. Subsequent events have demystified him, to the effect that he was defeated in so many elections even as a sitting governor. When he made us to desert the APC, the expectations were that he will stamp his authority and retake the state. The elections of 2015 has proved him to be a paper tiger, as he failed to secure the basic 25 percent for his principal, Goodluck Jonathan at that time. Can Governor Kashim withstand Sheriff’s cult- like followership across the state and his large financial war chest? The so called cult-like followership is a façade. We were the so called followers and where am I today? In any case, In the first place I want to assume that he returned to the APC with the best of intentions, to help the leadership at the state level to build the party. If that is the motive, I think he will get the soft landing he desperately seeks after his humiliating exit from the PDP. If otherwise, because he feels he has followership and the requisite financial war chest to bulldoze his way, I want to tell you that he will be making a gross miscalculation. Neither the followership nor the money people think are available for him to play around with, are there any longer there. His most ardent followers, including my humble self will not go into the misadventure with him, because we have since realised that we are important only when we are available as cannon fodders. And even if he has the money, it will be foolhardy for anybody to assume that a particular individual could match his resources against that of a state government. Sheriff has promised to galvanise one million votes for President Buhari’s re-election in Borno. I can tell you authoritatively that the likely person who can make such a pledge and likely get the results is the governor, who is in firm grip of the political structure in Borno State. Any promise by any other person is like building castles in the air. I stand to be proved wrong. Those who went into politics tying their fate to the apron strings of a particular individual may have missed the point in the first place. You see, every politician is a stakeholder in his or her own locality. I may not have the spread he has but I am relevant in my place. My people love me and I love them. My politics is not tied to Ali Sherriff’s apron string. He met me a self-made man, who volunteered to work with him for the good of our state and Nigeria. He does not spoon feed me politically and is not in a position to determine how I play my politics.